You read that right. In 22+ days, Scott Jurek has completed the first half of the Appalachian Trail, a feat that takes many three months to accomplish. This confirmed by a post on his Facebook Page that he updated today. 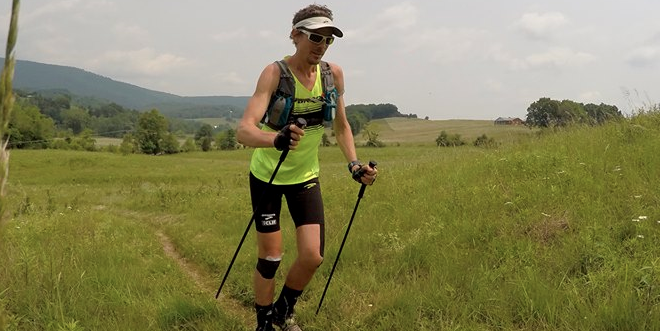 As previously reported, Scott Jurek, a high-profile endurance athlete, is attempting to break the current Appalachian Trail assisted speed record of 46 days, 11 hours, and 20 minutes, currently held by Jennifer Pharr Davis. Jurek is on pace to finish right around 45 days. As many thru-hikers can attest, the northern ~400 miles of the Trail present the most challenging and slowest terrain. Jurek has already endured a torn quadricep near the 300 mile marker, temporarily slowing him, but he’s back up to plus 50-mile days. Do you think he’ll break the record? Let us know in the comments below. Serious question. If the length of the trail changes every year, how can we compare record times from year to year? Without a backpack, it means NOTHING. Just playing devil’s advocate here, Mary, but do you feel the same way about those who slack pack portions of the AT? At least with slack packing, there is SOME sort of pack and pack weight. This is just my own personal opinion. Peeps like Joanna ( above ) drive me nuts. MY opinion only…….. I feel that many Appalachian Trail thru-hikers, myself included, would be offended hearing that. Who are you to say it means nothing? I’ve been a skeptic when I learned he was starting from the North (Maine). The toughest terrain is Maine and New Hampshire and I think trail conditioning from the south up would be more beneficial. Plus, it’s not hiking. He has a team. He doesn’t carry a 50 lb pack. Not impressed even if he does make it. The dude is running up and down mountains for 50+ miles a day, and he’ll do it for 6 weeks straight. Maybe it’s not YOUR Appalachian Trail experience but it’s a superhumanly impressive experience. 50 mile days. I can’t even fathom that. He’s hiking assisted so I have to assume his base weight is about 5 lbs. But who cares with those kinds of miles. VERY cool though that a woman currently holds the assisted AT speed record just like a woman holds the PCT unassisted speed record. As a dude who puts up decent miles, I like knowing that women could run me in to the ground. I think he will break the record if he doesn’t get injured or sick. It’s a long distant running/hiking race for him to beat another record that has been set. It’s different than doing a regular AT thru- hike or section hike, IMO. I see it for what it is & it’s impressive to me. Someone has a goal and is completing it – I think antime someone meets their goals, it’s a cause for kudos. Promote what you love instead of bashing what you hate. Postitive energy people.